Tiny, multicoloured glass beads create a kaleidoscope effect as the diffuser cycles through the lighting effects for a truly mesmerising display. 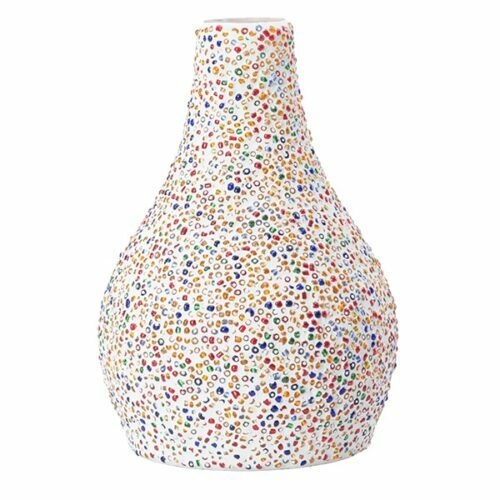 Scentsy diffusers are warranted to be free from defects in material and workmanship for the lifetime of the product. 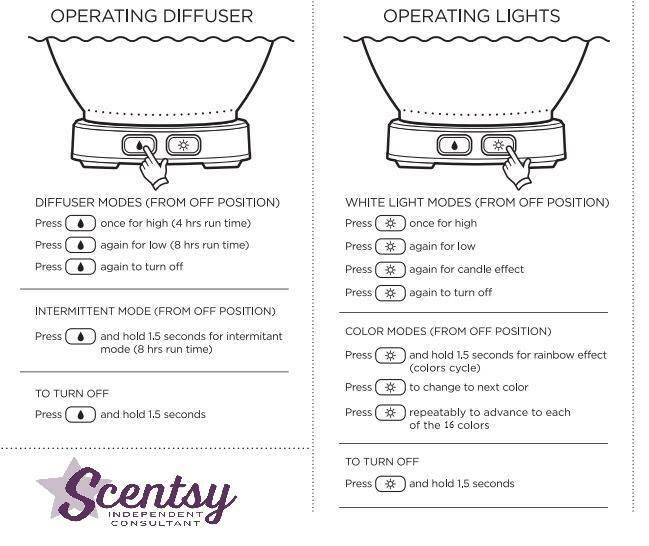 How Does The Scentsy Oil Diffuser Work? Add clean, cold tap water to the reservoir fill line (about 120 ml). 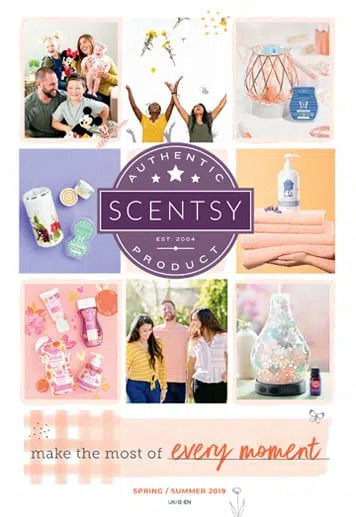 Add your choice of 21 essential and 100% natural Scentsy oils. We recommend starting with 4-5 drops of oil and adding more or less to suit your personal preferences and the size of your space. Choose your light setting. Press the light button once for high, twice for low, three times for candle effect and four times to turn it off. For color modes, press the light button for 1.5 seconds from the off position to cycle through all 12 colours. Press the light button again to advance to the next colour or set the diffuser to a specific colour. Choose your diffuser mode. Press the droplet button once for high (4 hours), twice for low (8 hours) and three times to turn it off. Hold the droplet button for 1.5 seconds from the off position for intermittent mode. Enjoy beautiful Scentsy fragrance for up to eight hours.